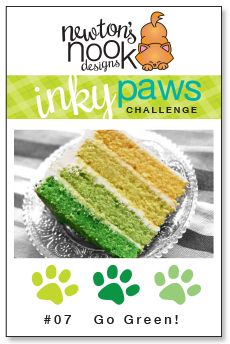 Newton's Nook Designs: More Inky Paws Challenge Inspiration! Have you had a chance to get your paws inky yet? First up - Samantha Mann created this super fun Dino card Inspired by the Go Green challenge. 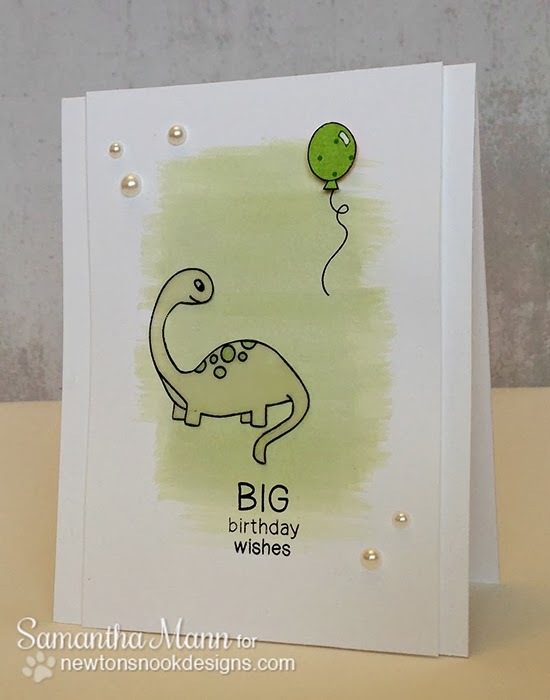 Samantha used the Dino and sentiment from the Prehistoric Pals stamp set. So cute! What a great Birthday card! For full details and to see what else she's up to make sure to visit Samantha's blog Sam's Scrap Candy. 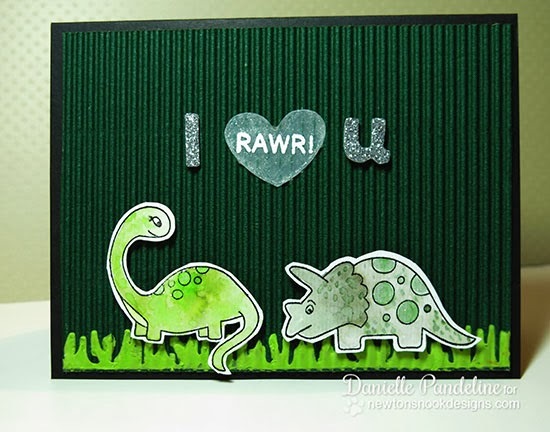 Next up, Do you remember this Dino card from Danielle Pandeline last week? She's created a video to show you how she created the card using Distress Inks to watercolor! Hope you enjoy it! After you watch the video, make sure to subscribe to her YouTube Channel and see her other awesome crafty videos! I hope these projects inspired you to play along! Remember, you have until next Friday, March 14th, 2014 to enter. There's a prize involved too, so don't delay - check out our inky paws challenge page for details! OK, now I watched the video and I love it even more! Great job!! !